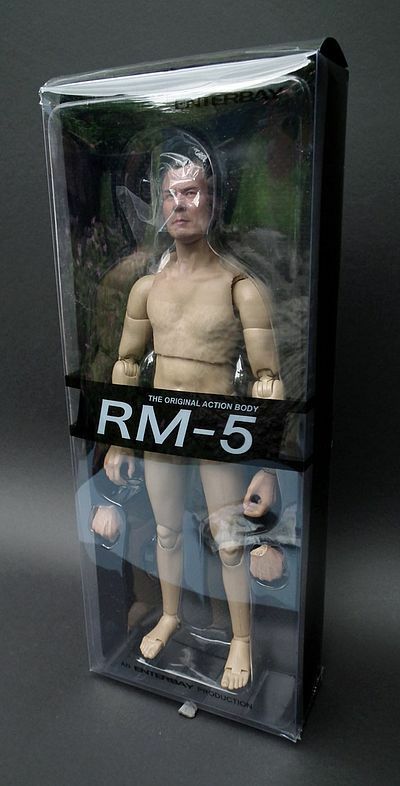 I recently wrote my low-down for the two ENTERBAY Scarface figures and the outstanding Che Guevara, all of which utilised variations of the new ENTERBAY RM-5 base body. I spoke of how impressed I was with its new features and just how versatile it was in terms of meeting up with the exacting requirements of the modern 1/6th collecting world. Lets face it we are a hard to please ‘precious’ and sometimes precocious bunch, and standards are getting increasingly higher as more and more companies enter into the lucrative market of base 1/6th bodies. 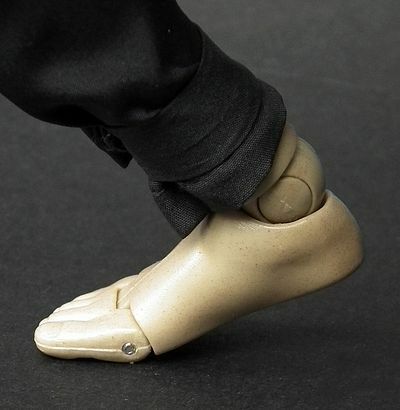 Sometimes it seems the world and his wife are chancing their arm, and many are delivering solid and cost effective alternatives to the now classic (and it has to be said much copied) Hot Toys True Type, and the many variations it spawned. This body delivers on pretty much all counts, as not only is it well designed, engineered and constructed, but it also has a rather cool celebrity likeness. Of course this is not marketed as such, but the plain fact of the matter is that this is without a doubt Shih Kien (real name Shek Wing-Cheung- 1913-2009). To many in the west that might not be a name up there with cream of Hollywood’s glitterati, but to fans of Asian cinema he was something of a legend. During a long and prolific career he received numerous awards for his portrayal of many varied and diverse characters, but is most fondly remembered for his roles as the bad guy. In fact the Chinese term 奸人堅 (the greatest villain) became synonymous with him for often stealing the show with his ‘oft copied’ trademark villainous laugh. So if his portfolio of work was mostly revered in Chinese cinema and television, why should he be so popular in the West? I have to say, I’d imagine that with the geek credentials of most readers of this site being well documented I don’t need to answer that, but for all others I have one word… Han! If you are still unsure, or Darwin forbid are thinking ‘did he get Ford’s role in the Chinese remake of Star Wars?’ you might as well leave now. 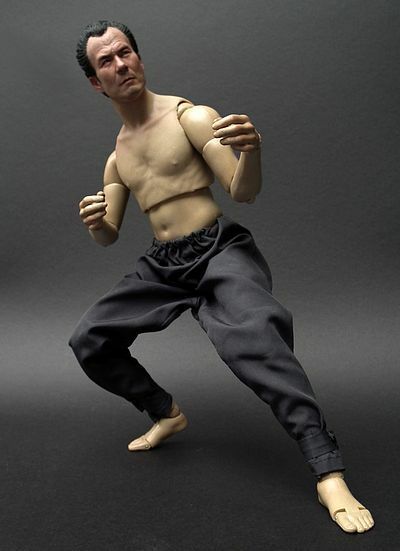 No, Shih Kien was the one handed… one metal clawed arch nemesis to Bruce Lee in the seminal ‘Enter the Dragon’… now do you realise why this figure is so sought after and desired! 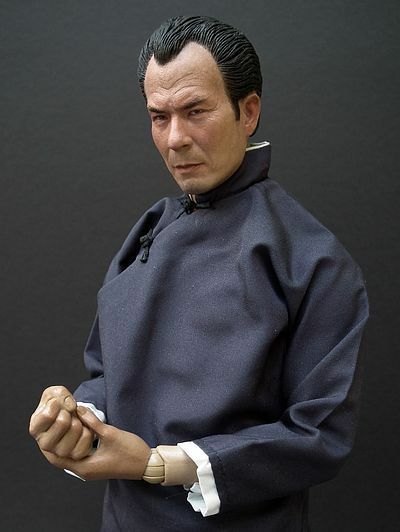 If you happen to own the Hot Toys, Medicom or indeed ENTERBAY figures of Bruce Lee, then this is the guy you want to stand opposite him (OK, I admit a Chuck Norris figure might be cool as well, but lets just concentrate on what we have in hand!). Enterbay have consistently proven themselves outstanding when delivering licensed figures, but like most others they tend to try and keep packaging costs to a minimum when making base bodies. Preferring to spend any extra outlay on their side against a bonus ‘celebrity’ sculpt and killer paint apps. After all, unless you are an anally retentive collector who keeps every piece of useless ephemera included with your figure (hello… that would be me then) you probably put most of the packaging in the bin. As such this is a basic affair, consisting of clear acetate box with black printing and a clear vac formed tray to hold the figure in place. No frills, no gimmicks just a simple carton designed to get the figure to you unharmed and in one piece, and mine managed to do that job just fine. 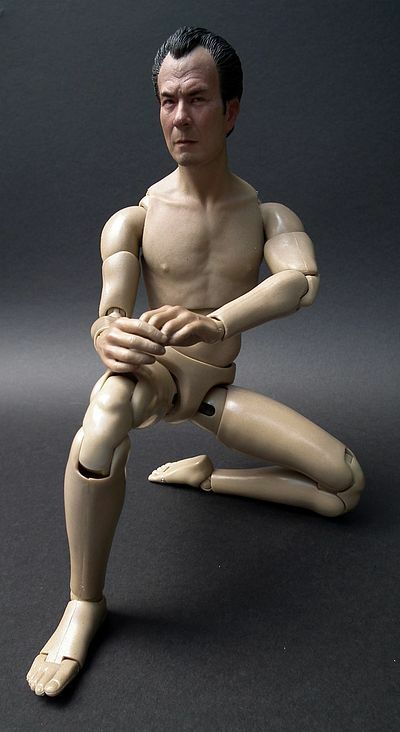 He comes with a selection of four hands, two fists and two relaxed and all are sculpted well and look to be at a good scale. It would have been rather cool to include the metal claw as well, but I guess that might have opened up a whole ‘licensing’ can of worms, and I’m sure there will be plenty of people selling bootleg custom ones on the Web if you look hard enough! ENTERBAY have always had a solid reputation, but lately they have made quantum leaps in their quality control and that is most evident in the striking paint apps they are now delivering. This is another occasion where they have managed to knock the ball clean out of the park. The skin colouration and detailing compliments the sculpt perfectly with rich deep hues that graduate tonally over the surface of the face most convincingly. His devious eyes are narrowed, and as such don’t allow for much detail to be shown, but what we do get manages to be convincing, capturing that evil, calculating expression that Shih Kien made his own. The paint on the hair is relatively flat, but with its semi glossy finish it helps the light falling on its surface bring all the detailing to life. 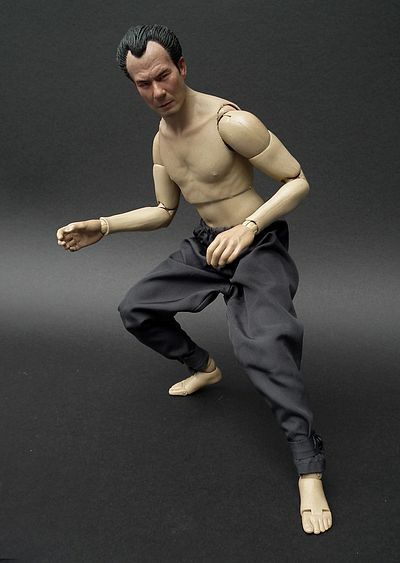 For an unlicensed bonus sculpt this manages to put many other companies attempts to capture the portrait of fully licensed actors in the shade, and when viewed alongside the amazing Che Guevara figure they released at the same time it shows how dedicated ENTERBAY are to delivering the very best they can in paint department. It has to be said, if you are manufacturing 1/6th figures that top the $100 mark, and your paint apps aren’t as good as this…why? This is now the standard, shape up, or ship out! And having seen some preview shots of the figures they have released from Men in Black 3, the quality of sculpts and paint looks like it is just gonna keep on improving. They just keep on scoring goals! 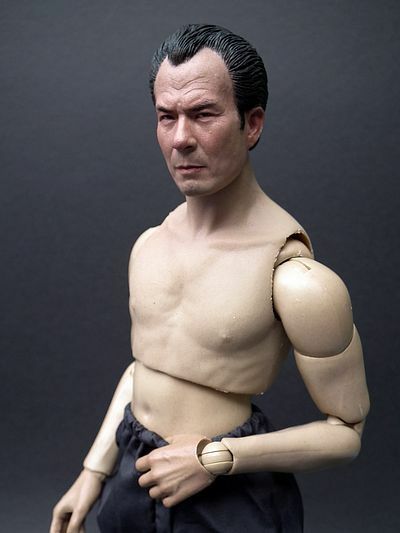 A- I already did for the Scarface figures reviewed here (and Che Guevara for that matter). B- I’m guessing you can get a pretty good idea from the pics included. 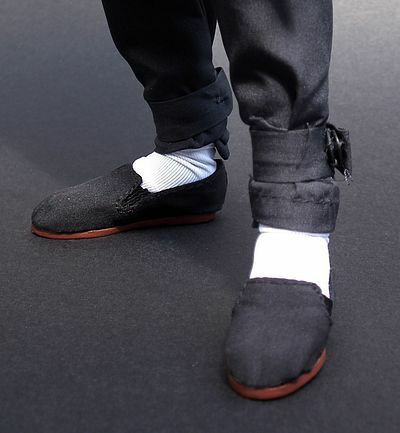 So it’s all good, in fact it’s excellent, and the cool engineering on the ankle joints works fantastically with the karate slippers and socks. An all round winner that moves smoothly and poses naturally with a good centre of balance! If I had to find a negative, then the paint app on the vinyl sheath covering the chest and neck is marginally lighter than the tones used on the face, but it is slight, and as I intend to keep him fully dressed it’s not an issue for me anyway. Not a lot, two spare hands and that’s it, but as far as base figures go that is par for the course… the big bonus here is that celebrity likeness. 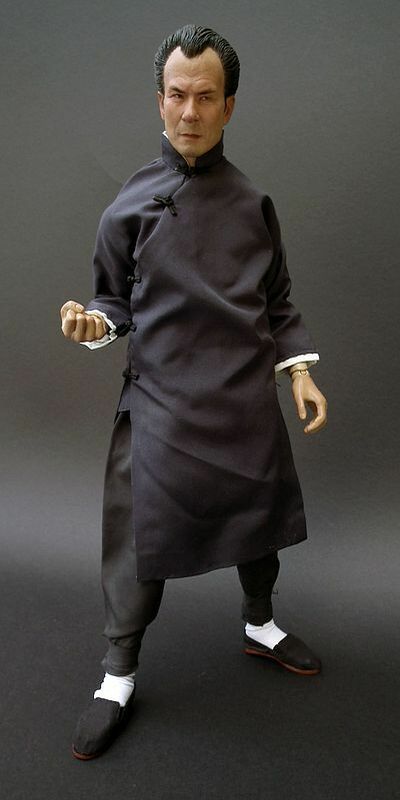 However… being a jammy git who is fortunate enough to often get some review samples sent to cast his eyes over, I was lucky enough to get the bonus navy blue long shirted kung-fu outfit sent along with the figure. This was originally only available for a limited time if ordered early and direct from their website. 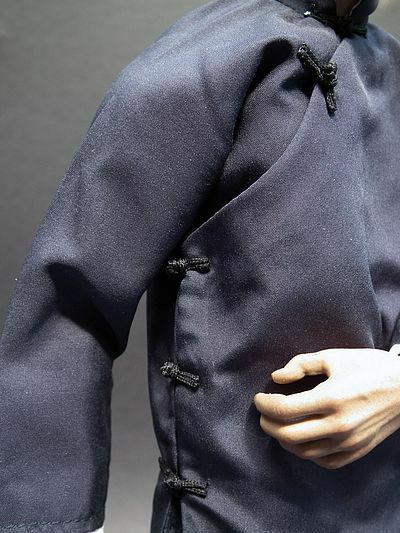 It’s a relatively simple affair, but the tailoring and finish is still solid. 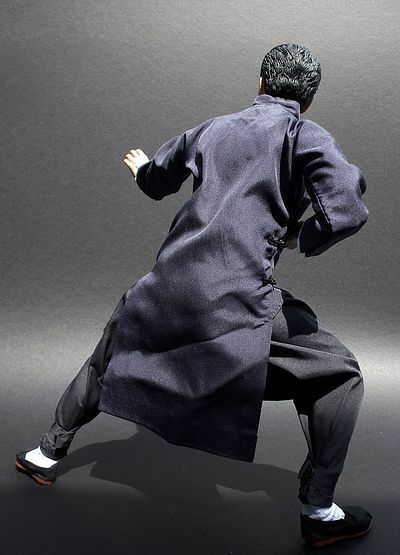 It consists of a pair of brown soled, black cotton Kung-Fu slippers, white socks, a pair of long blue Karate trousers with ankle bindings and a press stud waist, then finally we have a long blue Karate jacket with contrasting white cuffs and tiny working Chinese tied rope buttons. I admit that if push comes to shove I would have preferred the iconic Nehru styled suit that Han wore in the movie… but as a bonus I ain’t gonna look a gift horse in the mouth. So if I had to give it a score it would certainly merit at least ***… maybe ***1/2. 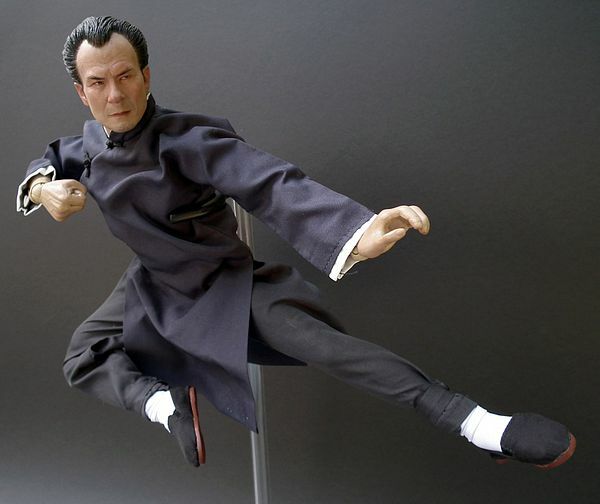 Though not ‘officially’ licensed this is an outstanding tribute to Shih Kien, the Dr No to Bruce Lee’s Bond in the classic martial arts movie, and as such the standard price when ordering direct from the ENTERBAY web site of $51 isn’t too eye watering at all. Of course we are not fools, and we fully realise that the ‘accidental’ likenesses we have received in the past from ENTERBAY, be they Matt Damon, Che Guevara or Shih Kien, do push up the price slightly. Not because of the license… that is a moot point, but the artisans working for the company have to spend more time producing a thing of this quality… and time is money, especially in China’s burgeoning economy! 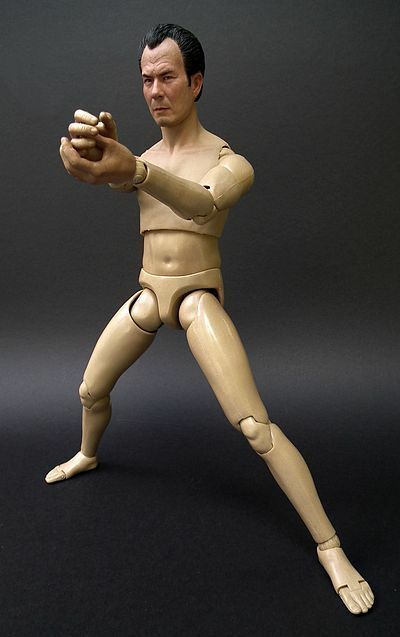 Essentially this is a base-body; the celebrity likeness is just a bonus. So how much fun can a base-body be? Well, as you ask, it poses well, is sculpted and painted fantastically, providing a great quality alternate body for what ever bash you may have in mind… but I’m guessing that over 80% of these will be keeping the head they arrive with… and the other 20% will be parted out on eBay returning a tidy profit on the loose heads… get it while you can! Although officially just a body, this is pure gold dust for any fans of Bruce Lee, especially fans of ‘Enter The Dragon’. The build quality and finish is up there with the best, and for a trifle over $50 we have something approaching a bargain. Not something we can often say in the world of hi-end 1/6th collecting these days. 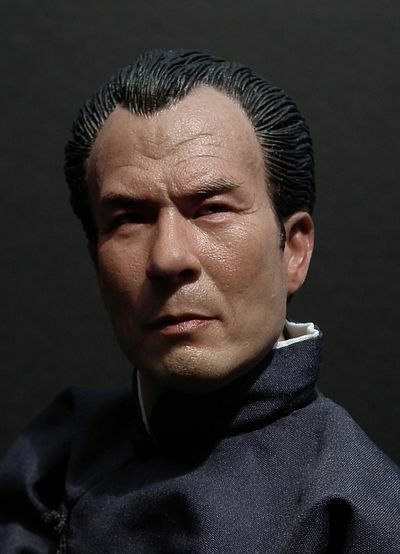 So when I get round to setting up my Enter the Dragon diorama again, you can guarantee this guy will be very much part of it, now I just need to nip off to onesixthbruce to find out when he’s getting that clawed hand and that Nehru suit in stock! 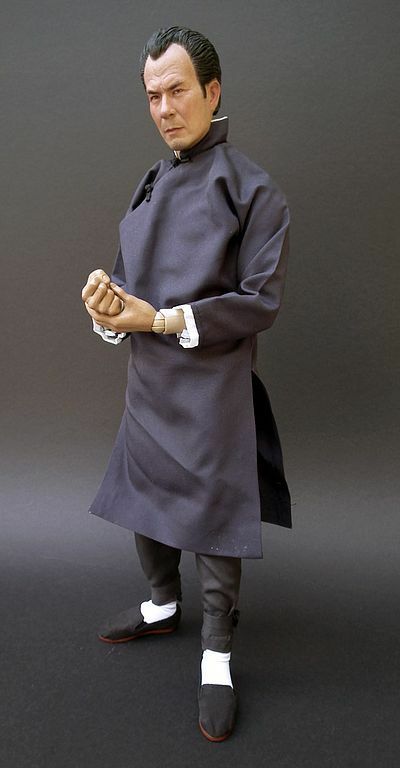 The figure (no outfit included) is available from the ENTERBAY site for $51 here. 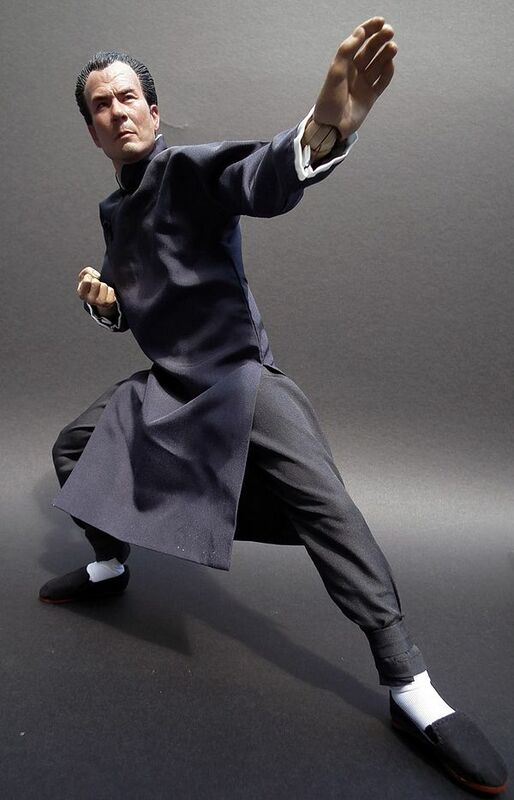 If in the UK or Europe you can also order from onesixthbruce.com for �47.99 here Or try ebay where prices are hovering between $60 to $120 (but some of the higher priced figures do come with the exclusive kung fu suit).